On Saturday 1 December, Nicole Baldwin, Jacqueline Drewe, Philip Morris and John Quilter will be ordained to the priesthood in Christ Church Cathedral at 10am. 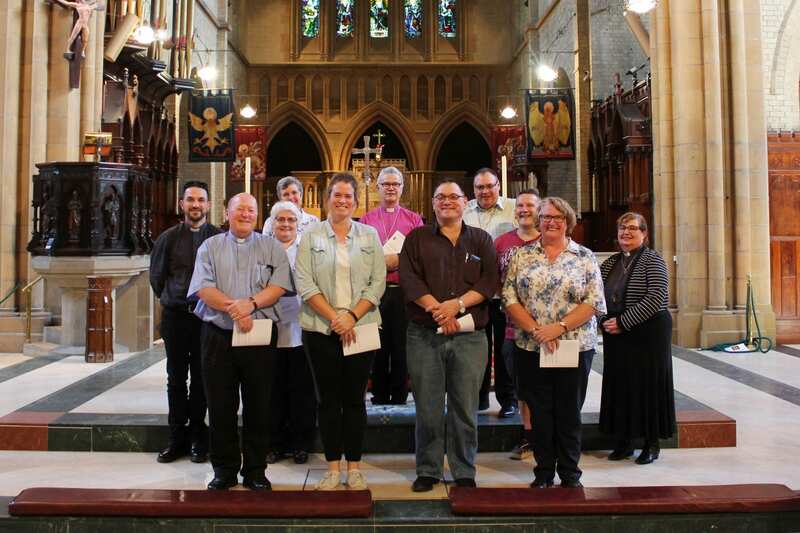 The Ordinands gathered at Christ Church Cathedral on Tuesday for a rehearsal. bless those called to priesthood in your Church. and faithfully minister your sacraments. and the benefit of your people and world. All are welcome to attend the Ordination.